Diane Rehm has her final show, with call-ins from Sen. Cory Booker, Julie Andrews, John Dickerson and more. 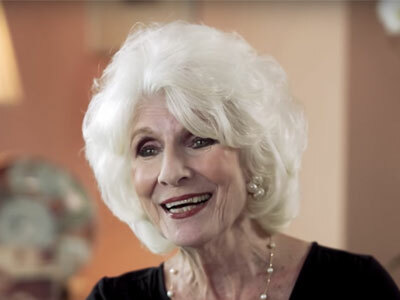 “One of her guests is always you,” is the tag line for The Diane Rehm show, and for the final hour of her final show on WAMU, it was all about that “you,” as host Diane Rehm played pre-recorded messages and took live calls from her listeners, in which they said their good-byes, talked about how the show affected them and asked questions of the show’s host. Among the live callers were those that Rehm announced not by name but as surprises, turning out to be people like singer-songwriter Judy Collins, who ended her call with a song, the first verse of Amazing Grace, at Rehm’s request. And she wasn’t the only singer to call in, followed later in the hour by Julie Andrews. Georgetown professor Paul Butler, who has been a guest on her show, said he was happy to have his “fan-boy moment” by calling in. “When I had the honor of being your guest I felt I had to step up my game,” he says of his pre-appearance prep. Face the Nation host John Dickerson echoed those sentiments. “I never prepared for anything as much as the Friday News Roundup,” he told her of his appearances in the roundup, going on to say how much he appreciated the types of stories she pursued and the kinds of questions she asked, both of which were more thoughtful and probing than what would get posed and covered elsewhere. “You gave us a nice frame for how to process the world,” he said. The show that she pushed for for is one that has kept generations of listeners tuned in. As Rehm described listeners who have told her over the years that they grew up with their parents listening to the show in the car, going from reluctant second-hand listeners to fans themselves as they got older, one listener called in with just such an anecdote. Show fans can take heart knowing Rehm, with her distinctive voice and distinctive questions, won’t be disappearing completely from public radio. She’s working on a weekly podcast hosted on WAMU, continuing the ethos that is at the heart of her work: listening. “Listen with an open heart and try to understand views other than yours,” she said.